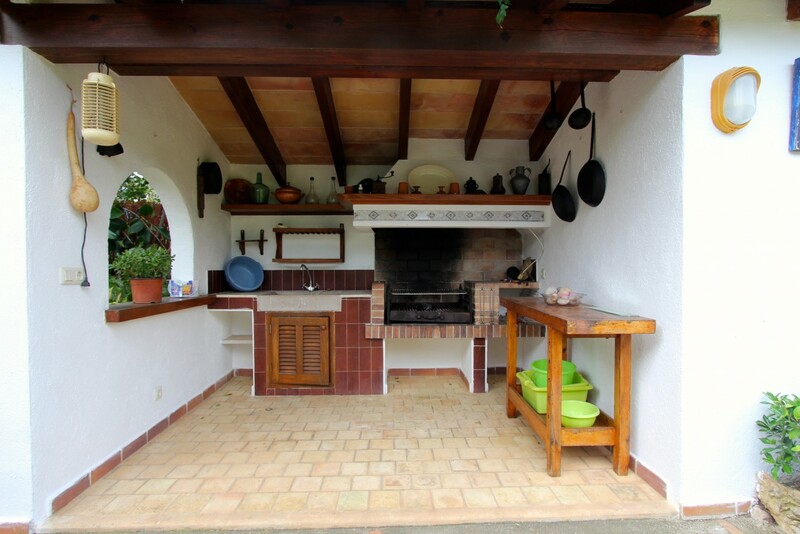 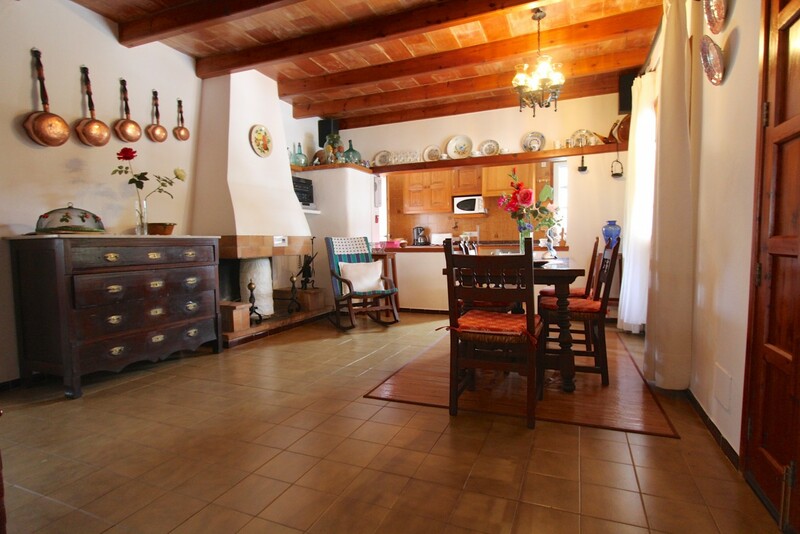 This property is a traditional style country house situated between Pollensa and Puerto Pollensa in the north of Mallorca. 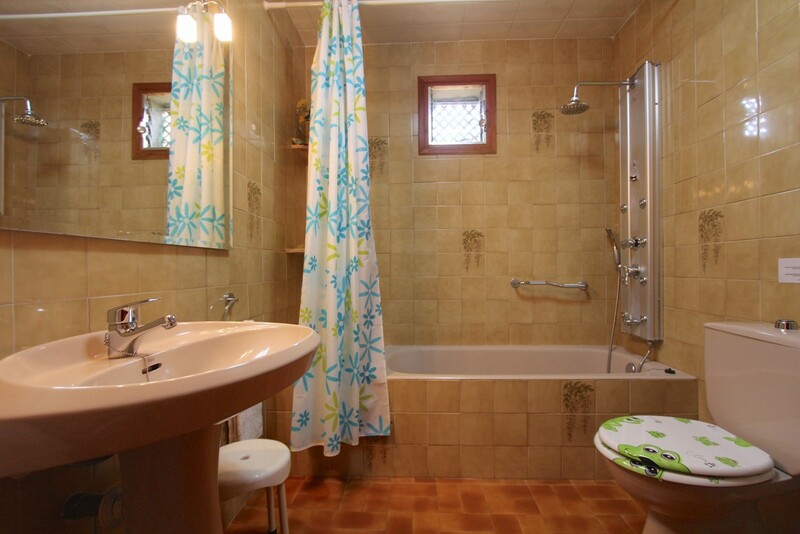 It has been build 30 years ago and well maintained although but some updating would be an advantage. 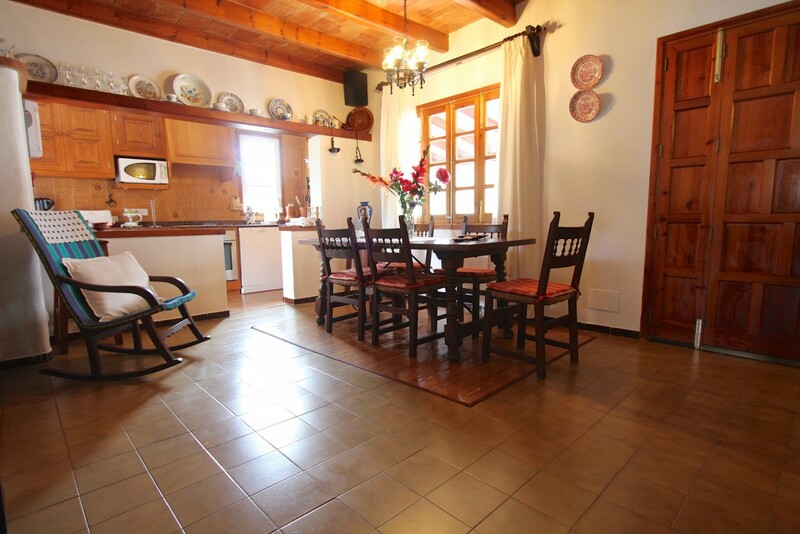 The house comprises two storeys and on the ground floor there is a lounge/diner with an open plan kitchen, 2 double bedrooms, 1 bathroom and access to an attractive covered terrace with dining area. 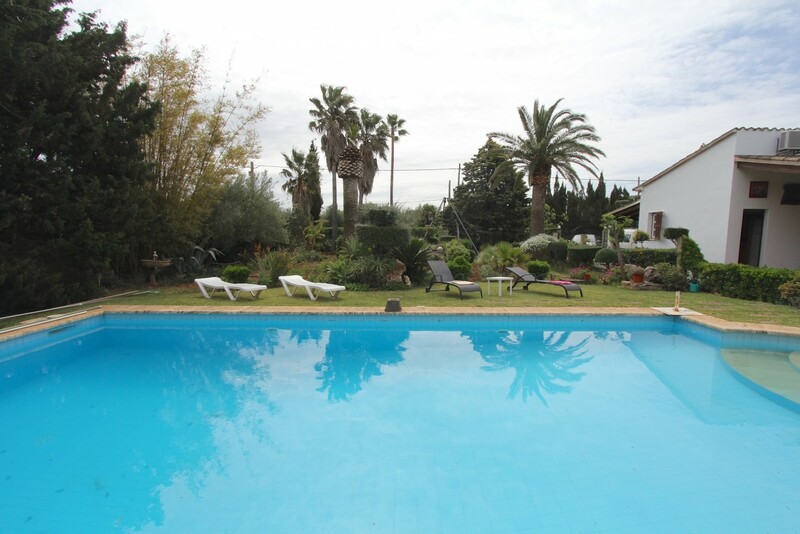 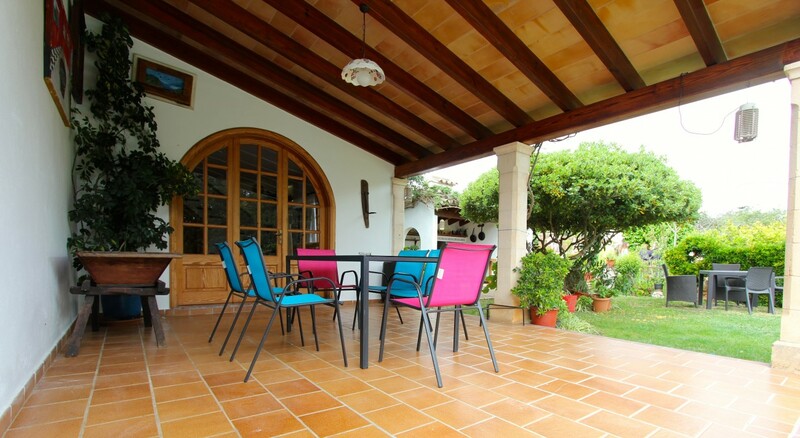 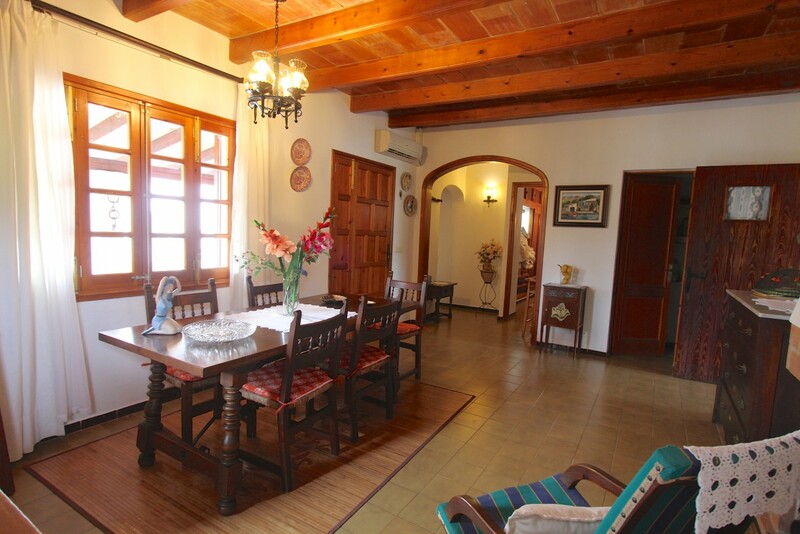 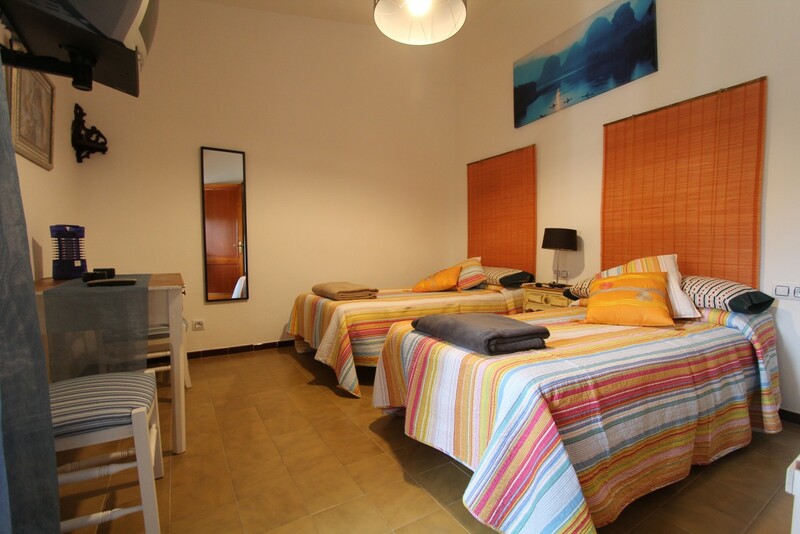 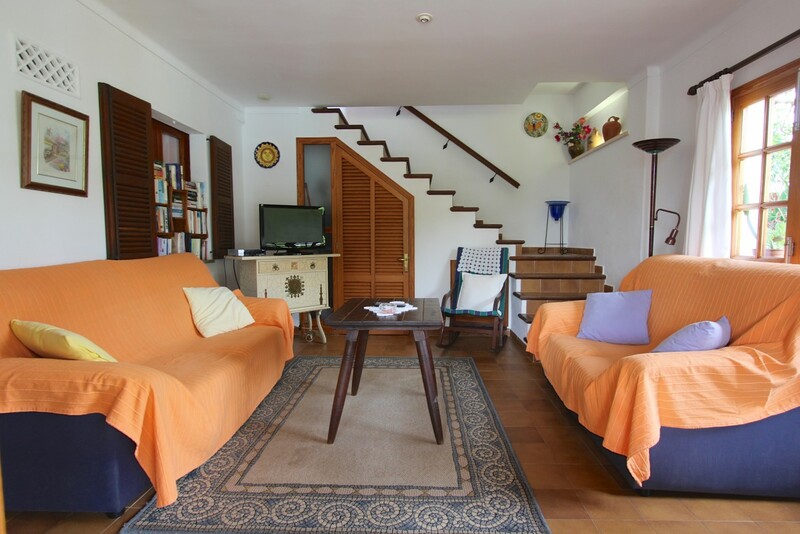 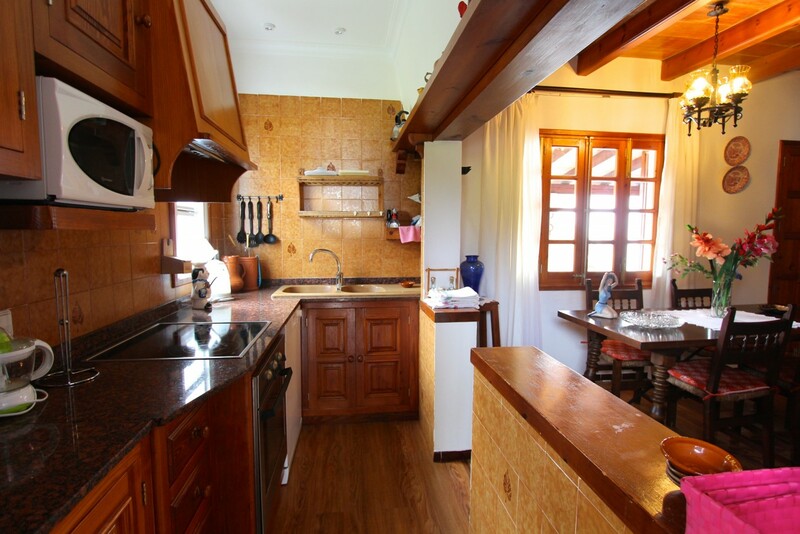 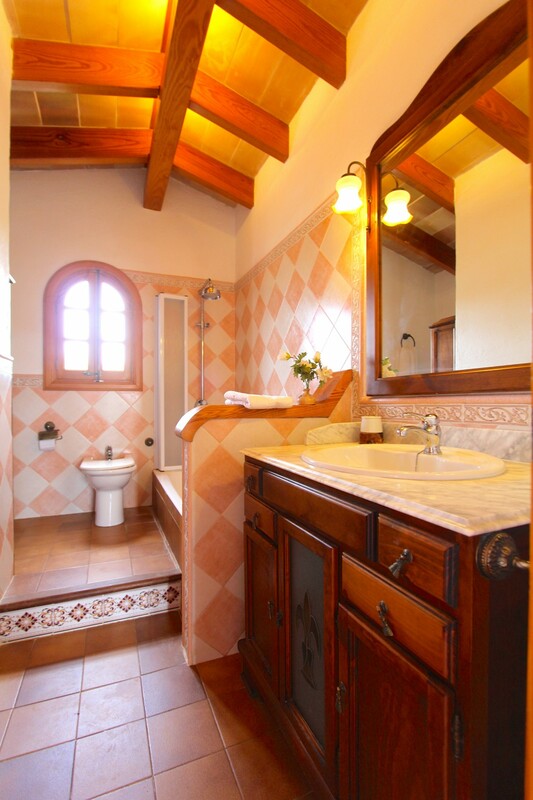 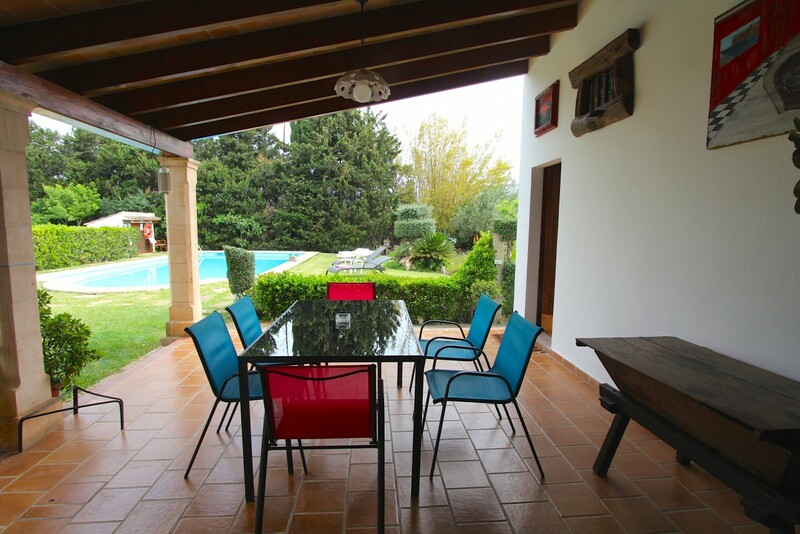 The upper floor has a double bedroom, bathroom and small terrace overlooking the garden and surrounding mountains. 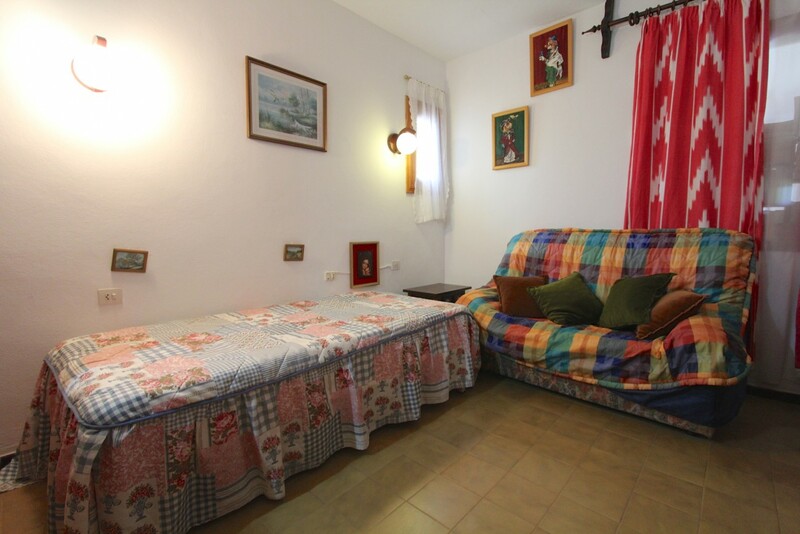 There is separate building included in this property which is used as a storage space. 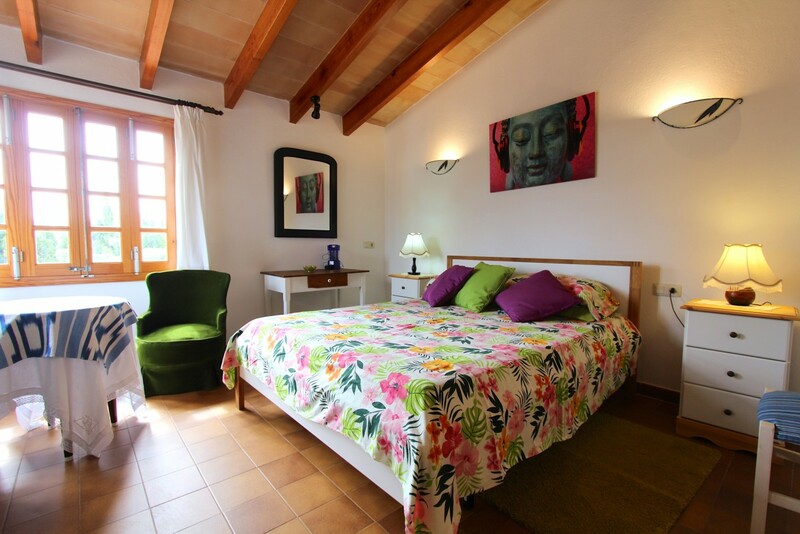 Pollensa is a town with a rich culture and traditional charm surrounded by the green mountain range of Serra de Tramuntana (UNESCO world heritage site) yet close to the sea, making it one of the prettiest and most desirable villages in Mallorca.